It’s always exciting to work on projects that make a difference in our society & community. 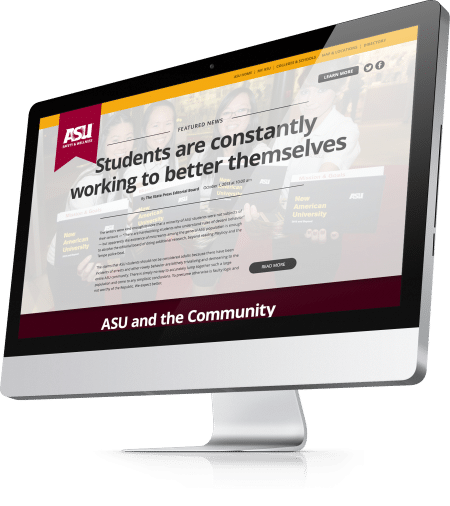 ASU Wellness aims at inspiring young adults to get involved and take action in their communities. 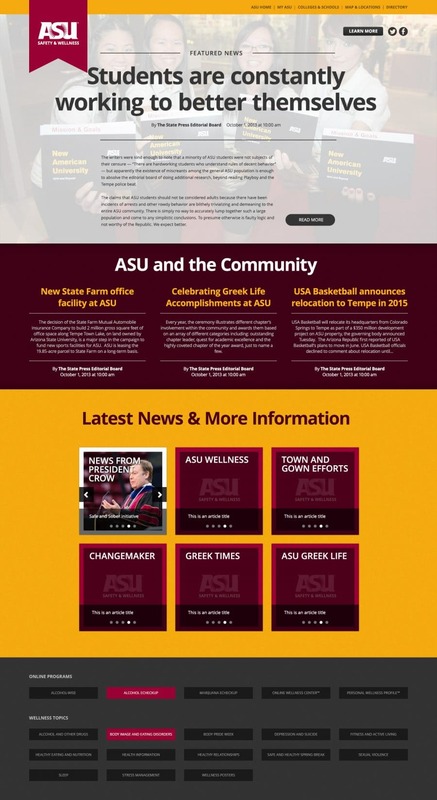 Faced with a site containing massive amounts of information and limitless options for destinations, I focused the experience of the home page to function sort of like a newspaper with various headline sections. Each section would contain different visual identifiers and examples of the type of content the user would experience after clicking through to the destination.